Fills a large space in little time! A wonderful centerpiece for your event! 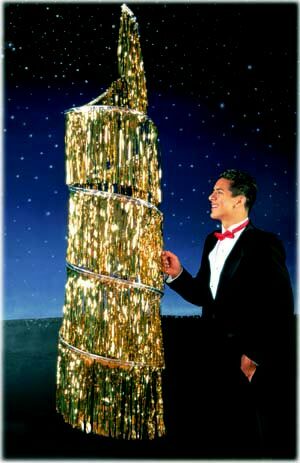 *Tip: Hang a 3-tier chandelier in the center of your dance floor and hanging spirals at each corner of the room. Wide variety of metallic colors. 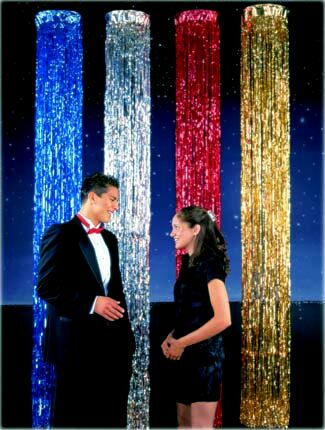 Available in holiday, iridescent, holographic and metallic colors. Great for Super Bowl parties! 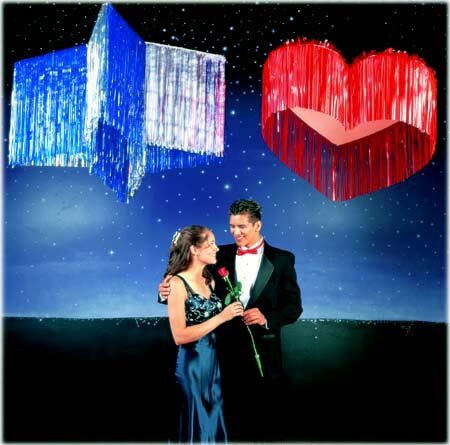 Tip: Hang hearts and stars above your dance floor to enhance formal and prom themes.